We use safe proven methods to eliminate irritating, harmful and embarrassing creepy crawlies. Honey Bees : as Bee Keepers we have a major advantage over other pest controllers, we provide an amazing and unique service that is only provided by a handful of other pest controllers across the UK – “live bee extraction”. Rather than killing feral honey bee colonies we offer an alternative eco-friendly method. We are able to extract bees from cavity walls, removing both the honey bees and their stores only leaving the wax comb. Unlike a lot of other pest control businesses we offer proper solutions to difficult problems. So rather than poison the bee colony in situ resulting in a toxic mess made up of a nerve agent, dead bees, rotting larvae and rancid honey we can extract them and their honey stores. Alongside this we offer bee extraction from chimneys (we spent a week training as chimney sweeps to ensure that we do things correctly), bee removal from roof voids, above soffits, beneath tiles or anywhere else you might find them. Bumble Bees : we offer live removal of bumble bee nests and successfully relocated all the accessible bumble bee nests that we were called to last year. Bed bugs : we don’t just walk in spray your living environment with a toxic chemical and then repeat the process a few weeks or months later because the root of the problem has not been solved. We do a thorough inspection looking at the points of harbourage, we recommend that this inspection be accompanied by a steam treatment using equipment especially made and designed for the purpose. Post treatment we are able to offer products to monitor the success of the treatment (these can also be used to confirm that an infestation exists prior to inspection and treatment. Fleas : as well as carrying out the appropriate chemical treatment in your property we also offer a ULV (Ultra Low Volume) treatment to flush out all those fleas that have not been sprayed so pushing them into the treated areas. This virtually eliminates people being bitten that same evening. Remember no one can eliminate the possibility of rogue fleas, but in this case these rogue fleas will not have the opportunity to breed again. Rodents : we don’t throw out some poison and disappear forever (COP and label changes currently in process require that all unused bait be picked up at the end of treatment, so two visits at minimum are necessary). We will fully inspect your property and surroundings from top to bottom, recommending to you, any actions that should be taken as we go and highlighting where the opportunities for rodent ingress lie. We offer the opportunity to trap the rats or mice rather than poisoning them and leaving them to go off and die somewhere inaccessible. If we feel that it would benefit you, we can offer a full CCTV survey of the drains using top notch drain inspection equipment and the professional advice on how to make the necessary repairs. Squirrels : generally we don’t use rodenticides because of the likelihood of causing secondary poisoning to other wildlife (specifically birds of prey) and a squirrels body caught in a cavity wall may cause unpleasant odours for a long time. As an alternative we prefer to trap and normally succeed in ridding you of squirrels within a few days. It is a legal part of this process that the traps be checked daily which if possible we suggest you do so as to keep costs down. If you are unable to carry out the checks then we offer a monitoring system that can be rented alongside the trapping service to allow you the client and us the pest controller to remain on the correct side of the law. ULV Treatment : we have invested in this rather expensive piece of kit to provide the most effective way of what a lot of customers describe as fumigation. The World Health Organization definition of ULV is, “Ultra Low Volume spraying utilizes the minimum volume of insecticidal formulation required to produce the desired biological effect with maximum economy using special formulations, applied through dedicated application equipment”. Basically liquids are passed through the ULV machine, which generates an airborne mist of droplets. These droplets diffuse through the treated area and settle out onto surfaces, meaning that the material used will be active both as a space spray and a surface spray. The ULV machine produces an optimum size of spray droplet that is small enough to remain airborne without being too small to hit the target – research has shown the optimum droplet size to be around 15 microns which is what the ULV machine is designed to produce. The ULV machine is used in situations that one would have tried using smoke bombs and aerosols in previously – ULV is so much better. Having to share your home with pests is no fun, here at Vale Pest Control we specialise in effective, family-friendly safe pest control. Our methods can rid your home of pests including rodents, bedbugs, fleas, clothes moths, carpet beetles, ants, birds and rodents – quickly and efficiently. Contact us now for fast, friendly service in all areas of Cardiff, the Vale, Bridgend and Newport. Need a Cardiff Pest & Bird Control Specialist? Choose Vale. We are listed on BASIS PROMPT which is a Professional Pest Controllers Register that requires we be qualified, keep up to date with current treatments and the law within the UK through regular training. This ensures you receive a high quality service by a trained and qualified pest controller. Organic, chemical-free pest control is available. Please ask for more information if required. If you want to know more about pest control and wildlife management follow the relevant page links to the articles. No matter what the problem, be it wasp nest removal, squirrel control, squirrel removal, an infestation of mice or rats we can control any infestation and remedy any pest control problem, wildlife management, rodent control, insect control. Our prices are very competitive and will be fully explained before any work commences, so no unpleasant surprises. All pest infestations dealt with promptly and safely. Rabbit problem, invading ants, a problem fox, mink massacring your chickens or fish, birds fouling your steps, pigeons or seagulls nesting on your roof. Are bed bugs invading your home. Problems with pigeon or seagull guano. Fleas in your carpets, beetles running riot, moths eating your best silks and woollens. We have a pest control solution that will eliminate the problem. Pest control Barry, get rid of rats Penarth, get rid of moles Cowbridge, pests Pontyclunn, carpet beetle Peterston, garden mole hill problems in Wenvoe, rat infestation Llandough, wasps in Talbot Green, get rid of squirrels Danes Court, squirrels in roof Ystradowen, insect infestation in Pontyclun, moles Llantrisant, moths Creigiau, rabbit control Pentyrch, pest infestation Efail Isaf, mole catcher St. Brides, mice infestation Welsh St. Donats, wasp nest removal St. Nicholas, cluster fly infestation Bonvilston, pet friendly pest control Radyr, flea control Danes Court, beetles in Llandaff, clothes moth Leckwith, fleas Michaelston-Le-Pit, squirrels in attic Dinas Powys, Flies in Pontcanna, carpet beetle Llanishen, pests Pontypridd, drain rats Newport, bedbugs Monmouth, rat problem in Cardiff Bay, problem rat Roath, bee swarm Pontcanna, squirrels Thornhill, Pest control Llandaf, Whitchurch pest control, badgers in garden at Rhiwbina, Riverside, wasp removal Llanishen, kitchen mouse Taffs Well, Cyncoed, garden ants Canton, Bed bugs Heath, cockroach infestation Pontprennau. call for assistance with any wildlife management or pest control problems. Domestic and Commercial pest services South Glamorgan, West Glamorgan, Glamorgan, South Wales. 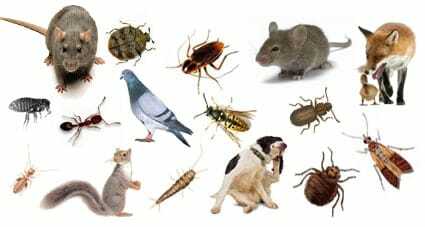 Emergency pest control – we usually offer same day service. For non-emergency pest control services we can visit you next day.